There are currently 15 states with medical cannabis home grow provisions and three states (D.C. included) where adults are allowed by state law to cultivate at home recreationaly, with some of these states carrying heavier qualifications than others. 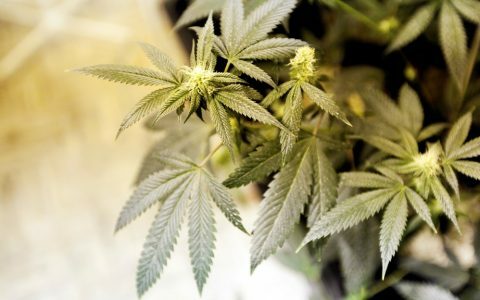 This list continues to grow as more cannabis enthusiasts gain access and can try finally try out their own green thumbs. Right now, if you live in one of these places and you meet the qualifications to cultivate in your home, there are only a few resources where you can go to get in-person consulting on the matter. Hydroponics shops and seed/clone-retailers are a start, but these businesses, driven by monetary incentives, have a habit of suggesting that new growers begin by incorporating synthetic fertilizers, pesticides, and non-soil grow mediums into their grow based on the fact that they all require a purchase at their facility. Although conducive to achieving a sale, these suggestions aren’t always aimed on what is best for you, the consumer, as well as your plants. It’s important to understand that not all retailers share this modus operandi, and many shops are beginning to offer organic solutions alongside their synthetic companions. However, what you may not know is that for a fraction of the cost of a single bottle of synthetic liquid fertilizer, you can get the same, if not better yield, flavor, and cannabinoid content in your crop at home by simply using organic farming practices. 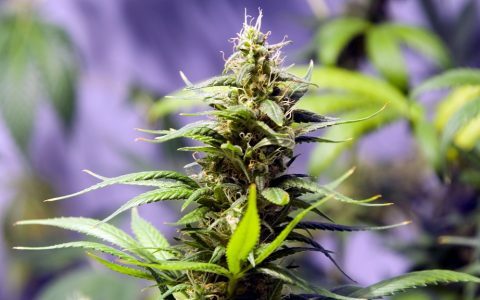 Getting started with organic cannabis farming is both simple and flexible as there are many ways to incorporate these methods into your home grow. Think of organic growing more in terms of a spectrum. Since there currently aren’t any regulations in the cannabis industry as to what actually qualifies as true organic farming, many interpretations do exist. As a result, this topic can be quite polarizing for industry professionals, but for home growers it simply comes down to a matter of preference. For starters, an all naturally amended soil medium is perhaps the most important first step in creating a healthy sustainable grow. Building a clean and sustainable organic potting soil for cannabis is absolutely essential in creating a viable food web for the microorganisms that will ultimately help keep your plants stacked with readily available “organic” nutrients. Popular organic soil amendments include most types of compost, pumice, earthworm castings, kelp meal, perlite, bat guano, fish emulsion, peat moss, etc. Ingredients along these lines each serve a specific purpose and will help foster an environment for microorganisms to proliferate. There are two ways to achieve a super soil of this caliber. The first is to build it yourself by acquiring these ingredients individually and mixing them to preference. Since this can be daunting to a novice grower, pre-mixed organic soils can also meet almost any growing condition and can be found in most hydroponic retailers that provide potting soils. Pre-mixed soils are highly recommended for first time cannabis growers because in most cases, these products require very little maintenance other than the occasional watering. This is because organic soils very rarely need pH adjustments, will produce and supply nutrients to cannabis plants without the need for additives, and are fortified with beneficial microorganisms that help deter pest damage. Providing your cannabis with sufficient growing conditions is one of the most important steps in building a successful organic grow. This includes a proper spectrum of light, optimal temperature and humidity settings, and high ventilation and airflow. Many organic growers swear by gardening outdoors but if you’re limited to growing indoors, choosing lights with the broadest possible light spectrum and the coolest temperature output is the key. You can always offset hot lights with proper ventilation and temperature control. With organics, the primary focus is to build the best possible environment to sustain life and provide nutrient access to your plants. This focus extends beyond the soil, so it’s best to view your entire grow as a tiny ecosystem that you must maintain in order to achieve homeostasis. Feeding your organic cannabis is as easy as finding the right water to use. When growing organic, try to avoid using tap water. Municipal water supplies tend to contain fluoride and other chemicals that can and will kill beneficial bacteria in your soil (though you can always opt to pick up an organic soil amendment or supplement at your local hydroponic shop if you’re ever in a pinch). There are a variety of wonderful organic supplements that may be added to assist in an organic grow, many of which offer a ton of benefits to the growing process. For example, incorporating the use of aerated compost teas can greatly help you in a number of ways. Compost teas reintroduce living microorganisms to the soil, in turn facilitating beneficial processes such as fighting pathogens in the soil, converting them to nutrients, and eliminating diseases. Inoculating your soil with mycorrhizal fungi is another organic grow hack that can pack your soil with an extra punch. The symbiotic relationship between mycorrhizal fungi and your plants (i.e.., mycorrhizae) has the power to vastly increase both water and other nutrient intake at the roots. A sprinkle of a dry organic fertilizer containing s single-source fungi at the beginning of your grow can be the only thing you add to your soil through both the vegetative and bloom phase and your plants will thrive. In addition to water, cannabis requires a few essential nutrients such as carbon dioxide, nitrogen, phosphorus, potassium, calcium, manganese, etc. Synthetic nutrient supplements operate on a supply-lock basis, meaning that their job is to supply a nutrient directly to a plant until the plant locks that nutrient from further absorption. In this case, the remaining excess passes through the soil with water drain off. Organic soils, on the other hand, do not require nutrient supplements because they are comprised of ingredients that inherently contain these valuable minerals and molecules. Uptake in these cases is contingent solely on the plant’s needs and doesn’t require extra attention (or money) from the grower. Organic pest control is easier than you think. There are a handful of natural pest management remedies in circulation that work wonders for controlling both indoor and outdoor gardens and don’t require the use of harmful systemic synthetics. Companion planting, the practice of pairing certain varieties of flora to naturally deter pests, is a fantastic first step for outdoor growers. Try using basil or dill in your garden for gnats, or marigolds for aphids. 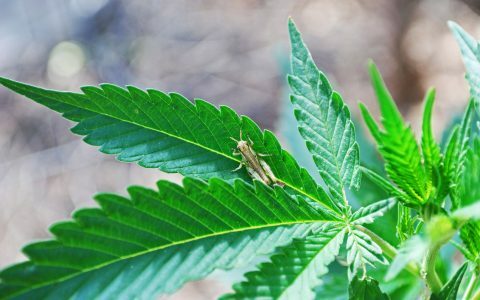 A quick search will land you with a ton of beneficial pairing for your garden plants; just switch out your control group plant with cannabis and you’re good to go. Other biological remedies such as bacillus thuringiensis, also known as BT or Mosquito Bits, and diatomaceous earth (DE) can help do wonders as an effective foliar agent to be used against pests. Synthetic nutrients and pesticides both have a tendency to leave soils pretty beat up and saturated with salts and chemicals towards the end of a grow, mandating pretty serious flushing to prepare your crop for consumption. In many cases, these soils must be remixed and tilled or tossed before the next season. As organic soils are actually living entities, they do not require tilling to prepare for a new crop. By simply removing the root ball and adding a bit of dry mycorrhizal fungi to the soil, you’re ready to go for a new round. 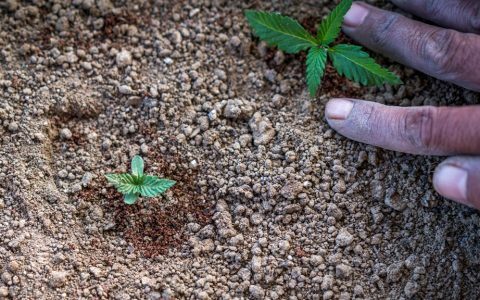 No-till gardening is emerging as a standard in most organic cannabis farming practices, not just for its obvious sustainability purposes, but for the benefit that organic soils that have been strengthened over a long period of time can offer. Before you head into your local hydroponics shop and grab that bottle of “ Barry’s Synthetic Bud Ripening Super Juice” that’s packed full of salts and chemicals for your plants, consider going organic in your next home grow. Not only will your soil absolutely love the TLC, but your colas will, too. Organic cannabis farming can be cheap, simple, and far healthier and sustainable than using manufactured chemicals and synthetic additives in your grow. Whether you choose to incorporate one or all of these organic techniques into your grow, your cannabis will not regret it and neither will you!